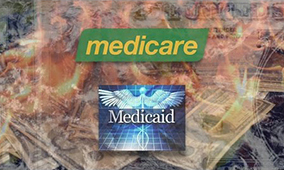 Disruptive, innovative industries are what change lives and make billions for entrepreneurs. Think of the transformative impact that Apple, Google, and Amazon have had on our economy – and on their founders, who are now extremely wealthy. It’s not just the founders who are wealthy, though, as patient investors who bought their stock shares in the beginning and held on through thick and thin have been richly rewarded. That’s the secret to real, sustained success as an investor: get in early on a company with great promise and hold on to your shares. You’d be late to the party if you bought Amazon and Google stock now, as they’re both over $1,000 per share and there’s only so much more upside from that price. 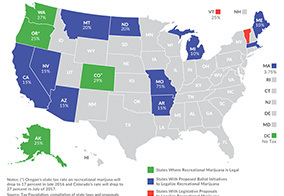 But there is a ground-floor opportunity in a fresh industry that’s taking hold in multiple cities not just in North America, but internationally. You see, millennials have eclipsed baby boomers and are now the largest American age demographic in terms of population. Their purchasing power is enormous, and they’re scaring the heck out of the automotive industry because, to put it bluntly, millennials don’t like cars very much. 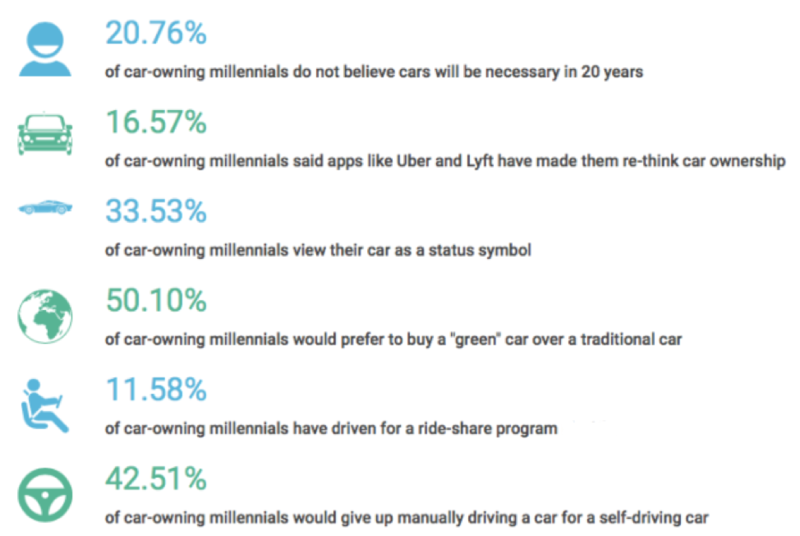 The research clearly indicates that compared to previous generations, millennials don’t view car ownership as a status symbol, don’t believe that car ownership is even necessary, and would prefer a cleaner, greener mode of transportation. The transportation industry is quickly evolving, and millennials are driving these changes ­– particularly in the cities, where most trips are quick and don’t necessarily need a car. Statistically speaking, 40% of car trips in the United States are less than two miles, and trips tend to be even shorter than that in the city. 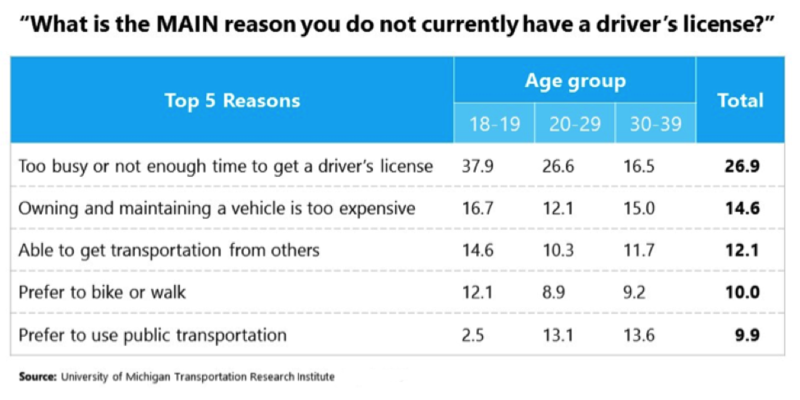 Here’s more bad news for the traditional automobile industry: an increasing number of millennials are not only without cars, but they’re not even bothering to get driver’s licenses. Much of this shift is due to the advent of the ride-sharing industry, which has changed the way people travel nowadays. Another factor is millennials’ preference for apps: they’re a generation of digital natives, so they’re accustomed to using their phones to arrange for transportation. The emerging trend towards millennials using their phones to make purchases and using ride-sharing services for local travel means that new and innovative businesses can take advantage of the quickly changing face of transportation. One such business is a company called LoopShare Ltd. (TSX-V: LOOP & US: LPPPF), and it’s the world’s first fully-integrated electric scooter sharing service. They have a service that’s called Loop scooters, and it caters to a massive market with plenty of room for expansion. LoopShare combines the best elements of transportation-as-a-service, plug-and-play technology, and advancements in electric scooters to create a solution for millennial travelers that’s easier to use than a bicycle, faster than a car in busy traffic, and environmentally clean compared to traditional automobiles. City dwellers will also appreciate the fact that Loop scooters can be parked almost anywhere. Parking a car in a big city is nearly impossible nowadays – good luck finding a parking spot in a timely manner, if you can even find one at all. Regulators also like Loop scooters because they’re a simple solution to increasingly oppressive big-city traffic congestion. Tech-savvy millennials and other demographic groups will also appreciate the advanced mobile connectivity that Loop scooters use to help navigate city streets. 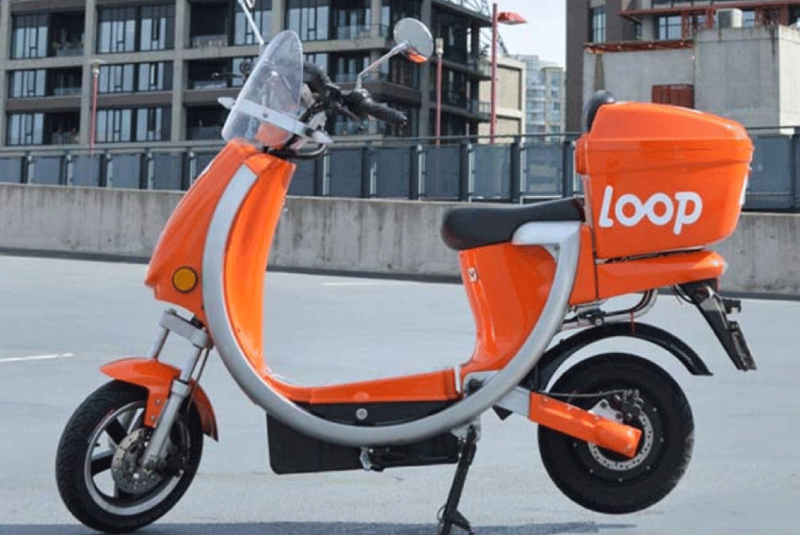 With a clever 7-inch touchscreen, GPS and GSM connectivity, day and night mode settings for enhanced visibility, and pin code ignition (no need for old-fashioned car keys anymore), Loop scooters are truly top-of-the-line transportation. It’s real game-changer, much like Amazon or Apple in the early days, with incredible growth potential for consumers and investors. And thus, transportation technology will never be the same: LoopShare’s modern scooters are changing the way millennials and city travelers around the world get to their destinations. BANK On This: A Stock You Should Know ABOUT! BIG, BIG NEWS: Have Your GAME-FACE On!